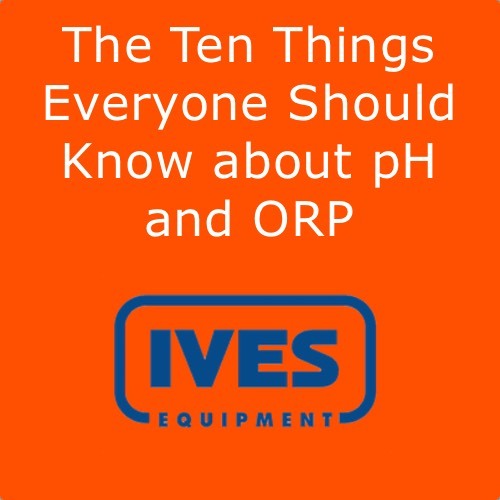 Here is a list of the ten things anyone in the business of measuring the pH or ORP of their process should know that will make his or her job more stress-free. 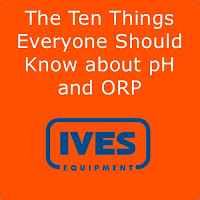 1. pH measurements are only good to 0.1 pH units. 2. Speaking of accuracy... It is not the same as precision. For a consistent process a pH probe can achieve precision of results to within 0.02 units but it’s accuracy will always be limited by variables such as calibration accuracy, high sodium content or careful routine calibration, however, will narrow the gap between the accuracy of readings closer to the lower level of precision. 3. ORP measurements are only good to ± 20 mV. Once again the measurement of ORP might be characterized by a high precision but the accuracy of the reading is constrained by the dif culty of calibration, as explained in point 6, and the non-buffered calibration solutions that allow the ORP value of the calibration solutions to change over time. Whereas the buffered composition of pH calibration solutions insures that they will change minimally an ORP calibrations solution is a mixture of Fe2+ and Fe3+ salts. Just the addition of air to the mixture will increase the ORP of the mixture. So don’t look for “NIST traceable” on the label of an ORP calibration solution. 4. ORP measurements are relative. reference electrode. Usually that is the same Ag/AgCl electrode used in a pH probe so the REDOX potential that you read is the difference between the Pt band process electrode and the arbitrarily chosen reference electrode. What matters most with an ORP measurement is its change to an agreed upon standard. 5. pH calibration requires two points. Calibration measures the response of an instrument as one changes the measurement variable in a known way. For pH measurements that measurement variable is the concentration of hydrogen ions. One calibrates a pH probe by drawing a line through points representing the response of a pH probe to more than one H+ ion concentrations (or pH values). Therefore calibration requires at least two points. 6. ORP calibration can only realistically be done with one point. This sounds like a reversal of point 4 but it’s not. ORP is not a measure of any one species (e.g. H+ ions or oxygen molecules). 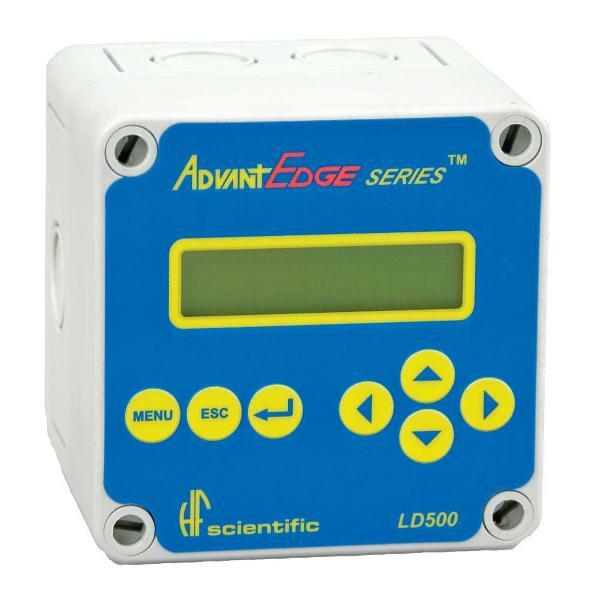 It measures the collective REDOX potential of everything in the water. Furthermore calibration solutions, e.g. 200 mV Light’s solution and 600 mV Zobell’s solution are two completely different mixtures of reagents. Therefore all we can is choose one calibration solution and calibrate for it. 7. ORP measurements can be slow. Stick an ORP probe in a calibration solution and you will get a steady reading with- in half a minute. Take the same probe and stick it in a glass of tap water and it might take 20 minutes for the reading to settle to the 200-300 mV that is typical of tap water. The response of the process electrodes to the REDOX reactions that take place on the surface of a Pt electrode depends on the speed of the many reactions that give the potential and the rate at which molecules diffuse through the water. The Fe2+ and Fe 3+ ions that comprise most of the ORP value in calibration solutions react very quickly with the Pt but the Cl- and dissolved oxygen that make up tap water react much more slowly. So the key to successful ORP measurement is patience. 8. pH measurements must be temperature compensated to be accurate. A pH measurement is the determination of H+ ions in solution. Higher temperature causes the chemical activity to increase and the pH reading to increase accordingly. So we must remove the temperature effect by measuring it and using the well known Nernst equation to correct it for the reading at 250C. (The correction is quite simple. The pH value is proportional to temperature when the latter is an absolute value (i.e. in Kelvins). 9. ORP measurements are affected by temperature but are NOT corrected for it. An ORP value simply reflects the ability of whatever is in the water to oxidize whatever contaminants are in the water. Of course oxidation speeds up at higher temperatures. But since ORP measures the rate of chemical reactions and not any one chemical species there is no need to correct it. However we can convert the temperature reading to the ORP that we would measure at 250 C so that we have a basis for comparing the chemistry of the process. That’s why we provide a temperature sensing thermistor or RTD with our differential ORP probes. 10. A differential probe properly cared for will last a long time but it won’t last forever. Over time chemicals in the process make their way through the junction or salt bridge and into the pH 7 buffer that bathes the reference electrode. Manufacturers go to great length to minimize this contamination but they can only slow it down. 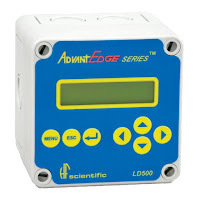 Aquametrix differential probes allow the user to cheaply and quickly replenish both the pH 7 solution and the salt bridge so that our probes our industry leaders when it comes to probe lifetime. Nonetheless electrodes themselves lose their efficiency as the glass becomes contaminated and/or eroded by the process. However the good news that, with routine calibration and maintenance an Aquametrix differential probe can last for years in most environments. As the car ads say, “your mileage will vary” but rest assured there is no probe on the market that will outlast an Aquametrix differential probe... as long as you take good care of it. Electrodes are funny things. They are the only electronic components that don’t even have specifications listed in their data sheets. One major figure of merit, the impedance of the glass electrode, is on the order of megahoms and can vary by a factor of two. Cross sensitivity to other ions (e.g. sodium), response time and differences between any two electrodes limit the accuracy of measurement. Expecting accuracy of greater than 0.1 pH units is unrealistic. Once again the measurement of ORP might be characterized by a high precision but the accuracy of the reading is constrained by the difficulty of calibration, as explained in point 6, and the non-buffered calibration solutions that allow the ORP value of the calibration solutions to change over time. Whereas the buffered composition of pH calibration solutions insures that they will change minimally an ORP calibrations solution is a mixture of Fe2+ and Fe3+ salts. Just the addition of air to the mixture will increase the ORP of the mixture. So don’t look for “NIST traceable” on the label of an ORP calibration solution. The process electrode is nothing more than a platinum (or gold) band upon which oxidation (reduction) reactions take place. To complete the circuit, as in all potentiometric devices, is a reference electrode. Usually that is the same Ag/AgCl electrode used in a pH probe so the REDOX potential that you read is the difference between the Pt band process electrode and the arbitrarily chosen reference electrode. What matters most with an ORP measurement is its change to an agreed upon standard. ing to settle to the 200-300 mV that is typical of tap water. The response of the process electrodes to the REDOX reactions that take place on the surface of a Pt electrode depends on the speed of the many reactions that give the potential and the rate at which molecules diffuse through the water. The Fe2+ and Fe 3+ ions that comprise most of the ORP value in calibration solutions react very quickly with the Pt but the Cl- and dissolved oxygen that make up tap water react much more slowly. So the key to successful ORP measurement is patience. Over time chemicals in the process make their way through the junction or salt bridge and into the pH 7 buffer that bathes the reference electrode. Manufacturers go to great length to minimize this contamination but they can only slow it down. 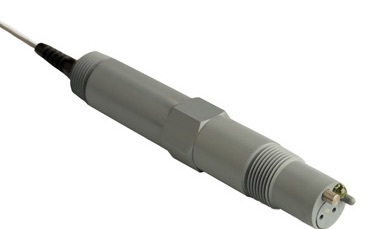 Aquametrix differential probes allow the user to cheaply and quickly replenish both the pH 7 solution and the salt bridge so that our probes our industry leaders when it comes to probe lifetime. Nonetheless electrodes themselves lose their efficiency as the glass becomes contaminated and/or eroded by the process. However the good news that, with routine calibration and maintenance a differential probe can last for years in most environments.